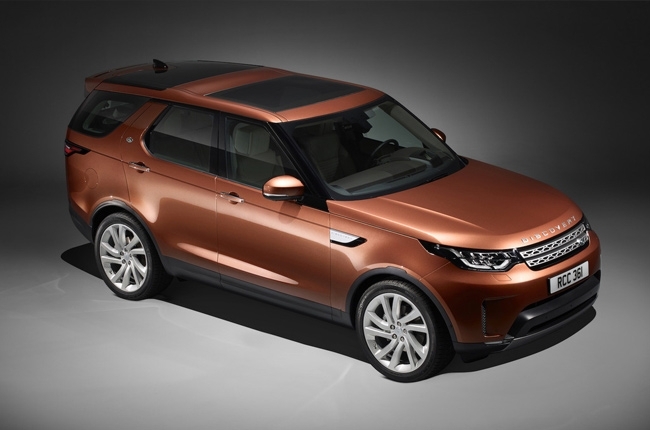 Land Rover has revealed the 5th generation Discovery at this year’s Paris Motor Show. It features a classy, robust exterior and a versatile interior, without departing from the model’s highly acclaimed on- and off-road capabilities. 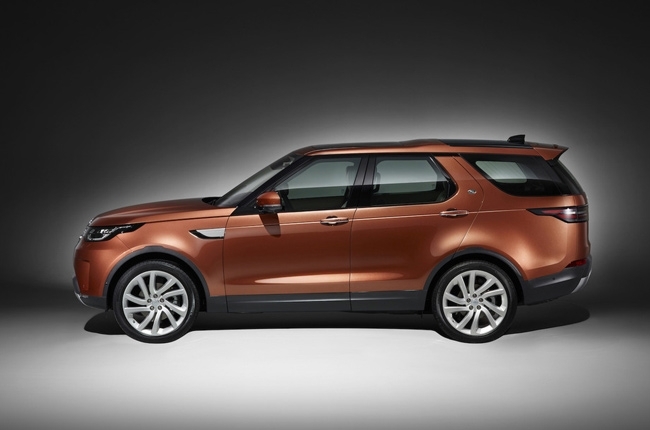 The whole appearance of the all-new Discovery has changed, but it retained its distinct stepped roofline. Its fascia is fitted with LED headlights with daytime running lamps, finely-detailed grille, and diffuser, which is similar to its smaller brother, the Discovery Sport. Viewed on profile, the 5th generation model’s body is more streamlined, curvy, and aerodynamic than its predecessor. Its wheel arches are greatly restyled, departing from the prominent design of the outgoing model. 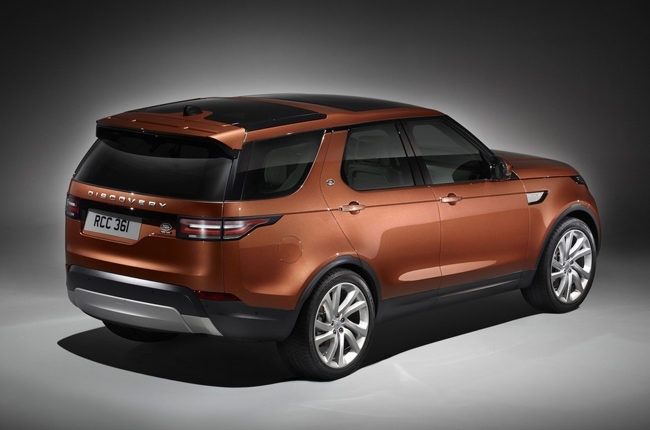 At the rear, the arrangement of the LED tail lights and reflectors gives the all-new Discovery a sporty look. This active demeanor is further complemented by the rear clad diffuser, spoiler, and shark fin antenna. Moreover, its tailgate has been revamped – it’s now easier to load and unload with the one-piece tailgate, in contrast to the split-type of the predecessor. Aside from the exterior changes, the all-new Discovery is highly customizable with 18 different exterior paints, with an option to choose from black or gray contrast roof. In addition to that, buyers can also choose from 12 alloy wheel designs that has sizes ranging from 19 to 22 inches. 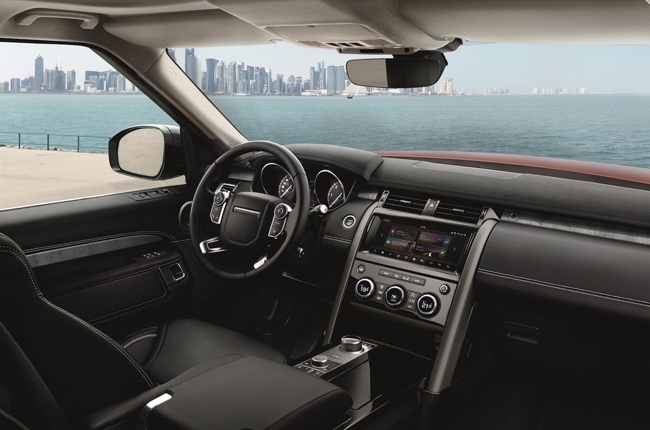 The finesse of the all-new Discovery’s interior is highlighted by the materials used, which includes Windsor leather and Natural Shadow Oak veneers that are available in Ebony, Acorn, Nimbus, Vintage Tan, and Glacier colorways. Moreover, the whole dashboard design is also uncluttered, with less buttons and dials as compared to its predecessor. 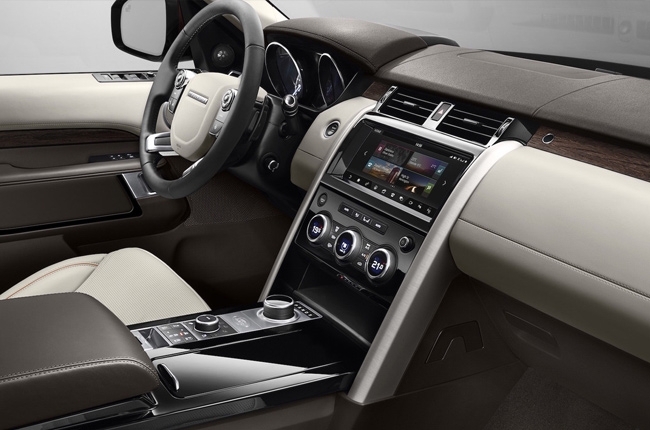 It is accented by contrast stitching and ambient lighting. 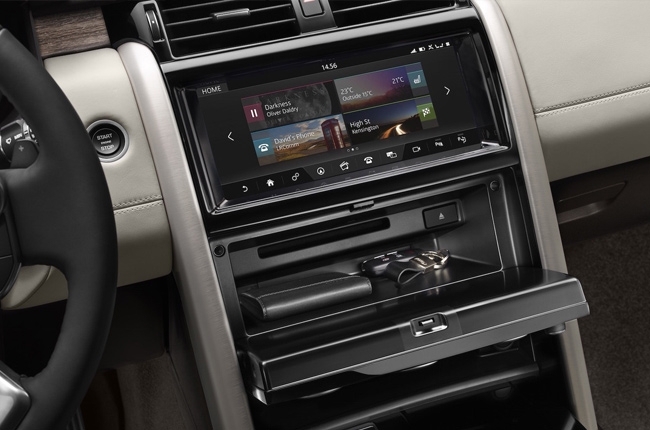 The Discovery’s dashboard is then crowned by the brand’s touchscreen infotainment system which can control the new optional Land Rover Intelligent Seat Fold function. This controls the seat configuration of the 2nd and 3rd rows via the head unit or by using a smartphone. Speaking of seats, the 2nd row seats can slide forward and backward by 6.3 inches to allow easier ingress and egress at the back. In addition to that, the signature high C pillar will allow tall passengers to occupy even the 3rd row. The ambience at the back is also enhanced by panoramic roof and sunblind options. 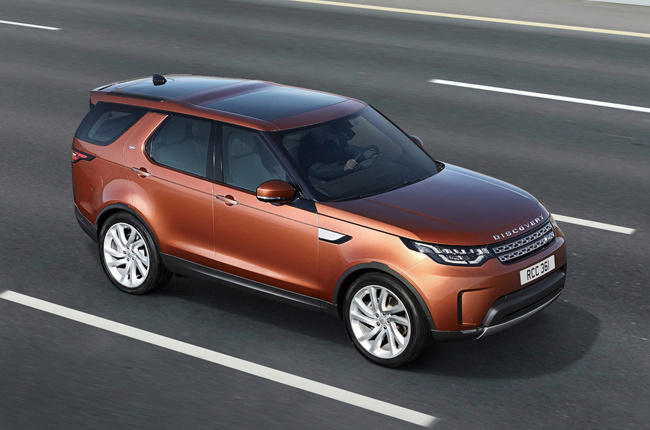 The 5th generation Discovery is available with 2 new engine options – a 254-hp 3.0L turbocharged V6 diesel or 340-hp 3.0L V6. Both power plant options are mated to an 8-speed automatic transmission. For more information about Land Rover and its vehicles, visit the AutoDeal Car Brands page.